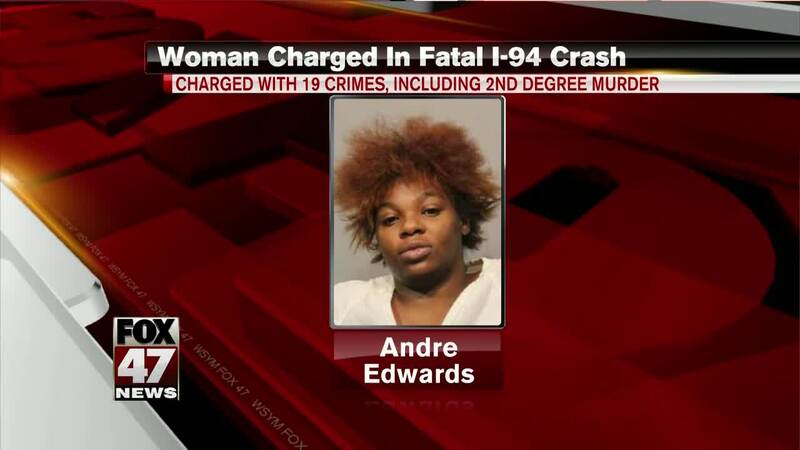 A woman from Ann Arbor is charged with more than a dozen felonies for a car accident that killed a tow truck driver, and one of her passengers last spring. 25 year-old Andre' Edwards was arraigned Wednesday on 19 crimes including two counts of second-degree murder, and three counts of second-degree child abuse. Police say Edwards was driving under the influence of alcohol and marijuana when she hit a tow truck driver who was working to repair a school bus on I-94 in Washtenaw County last may. Three children in the car were also hurt, Edwards did not have a license at the time. Authorities says this is Edwards' third drunk driving charge.